We recently did a lovely piece of research with M&G on the investment knowledge levels of Asia’s wealthiest individuals. This survey was pioneering for us because, for the first time EVER, we actually tested our HNW and UHNW respondents. What we found was that the region’s high net worth individuals are not as financially literate as they might think. This finding is a critical factor for wealth managers in their conduct of business. Potentially, their perceptions of client knowledge are going to be out of step with the reality of client knowledge. This could affect outcome expectations. The multiple-choice questionnaire, completed by 1,000 of the region’s wealthy with an average net worth of USD7 million, asked about their knowledge of some key investment terms. Just 8% of the respondents answered all of the questions correctly, while 56% of them got less than half the questions right. These findings will come as a surprise to Asian investors, who broadly believe their financial literacy levels to be quite good. When asked to rate their financial knowledge, they gave a score of 6.3 out of 10, 1.5 marks higher than their actual investment knowledge level. 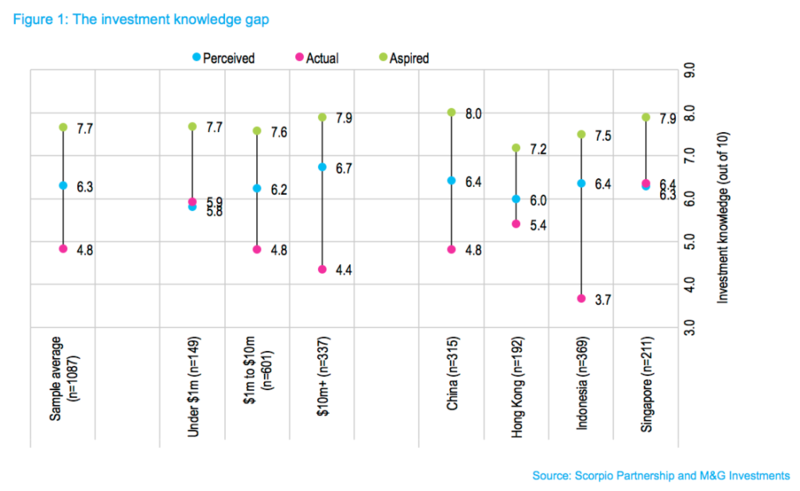 Interestingly, the knowledge gap is largest among the ultra-wealthy. Those worth more than USD10 million gave themselves a knowledge score of 6.7 when their real score sits at 4.8. The chasm widens even further when considering the standard of expertise these investors would like to achieve. The aspired knowledge level sits at 7.7 and almost doubles the knowledge gap. The results will also likely come as a shock to the region’s wealth managers, who have generally interpreted investor appetite for particular products and services as indicators of their investment proficiency. Fixed income products, for example, have been hugely popular in Asia over the last few years and yet when asked what happens to bond prices if yields go up, fewer than 30% of Asian investors answered correctly that they would go down. Making assumptions about a client’s investment knowledge is risky and potentially detrimental to the relationship. 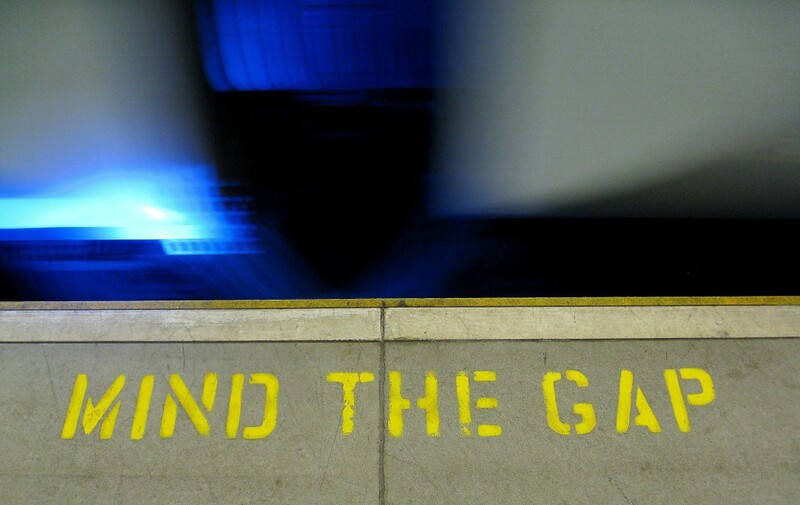 If investors do not fully comprehend how the products they are purchasing behave, it is very challenging for investment advisors to manage their expectations. A majority of the region’s wealthy need more explanation up front and their advisors need to make sure that they receive clear confirmation that the financial issues have been understood. We will be attending the events highlighted in pink – we look forward to seeing you there! 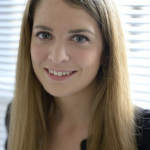 Expertise: Annie works on the research team at Scorpio and leads projects with a marketing and market insight focus. 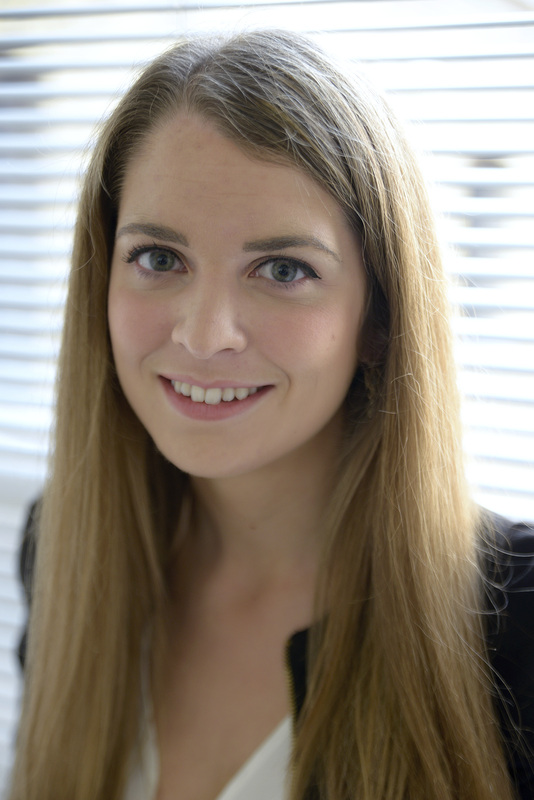 She runs the Futurewealth insight programme, a research and thought leadership initiative on the needs of the global HNW. Background: Whilst at Scorpio, she has completed a range of assignments for family offices, wealth managers and private banks, as well as a number of internal marketing projects.